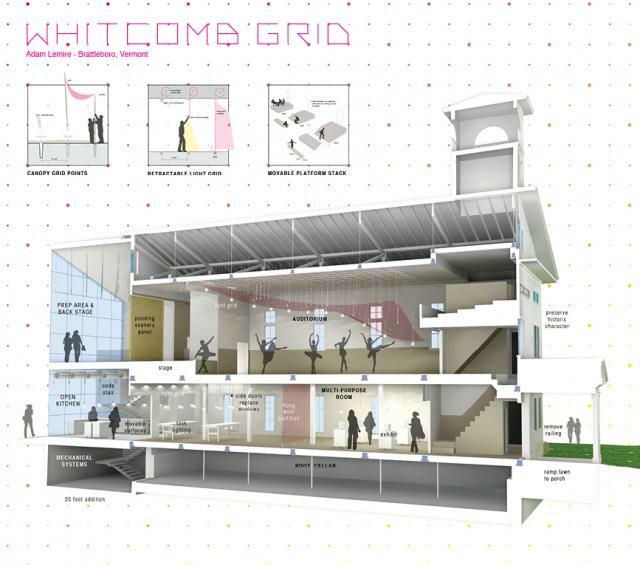 The idea for the 2013 competition was based on a real-life scenario, a building located in the Village of West Swanzey, NH, named Whitcomb Hall. The building has a prominent location in the village and has historically provided a strong role as a gathering place in the community. It has been vacant since 1988. 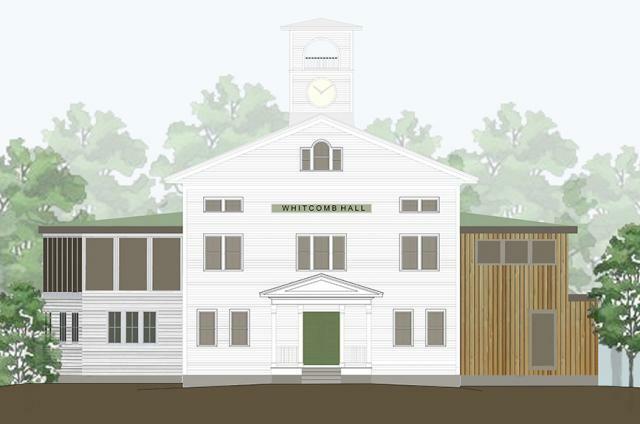 At a recent Plan NH Charrette, the planning team recommended that the Whitcomb Hall building become a premier, for-profit event facility that serves the southwest region of the State. 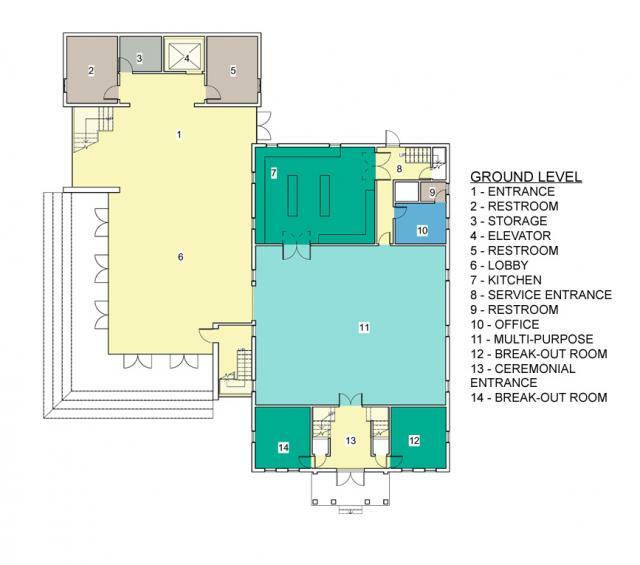 The facility should be capable of hosting events from 10-250 people with a plan that allows for flexible use and multiple configurations of the space. If you are interested in viewing the 2013 Call for Entries, click here. The jury was impressed with the level of detail and thoughtfulness that went into the submissions this year. Each designer presented their own unique interpretation on the program requirements as is usually the case. The difference here was that there were in some cases just minor deviations that separated the winners from the other entries. Current computer technology has allowed a deeper and more comprehensive study of how interior and exterior spaces are affected by light, orientation and massing. All the entries displayed a certain level of architectural sophistication beyond their years. We believe this speaks well for the future profession in general and we look forward to the continued development of all the young architects that participated in this year’s competition. Adam Lemire, LineSync Architecture, Wilmington, VT. 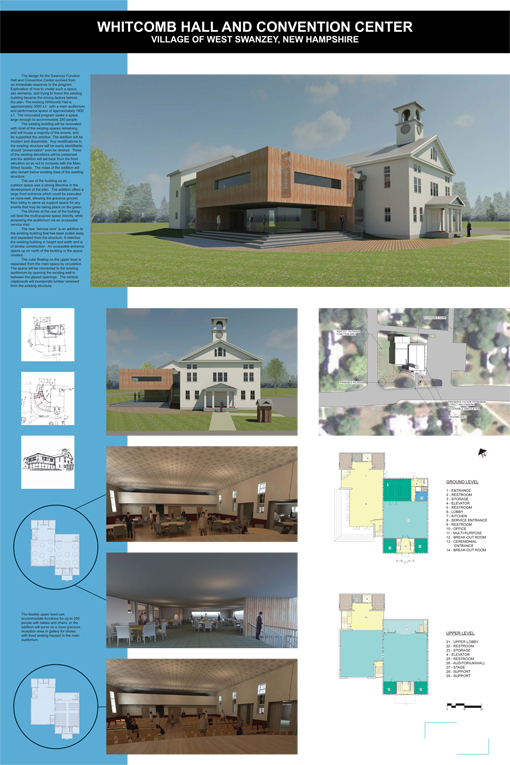 This is the “Swiss army knife” of the competition with a lot of practical details that enhanced the user experience while preserving the overall character of Whitcomb Hall. The idea of the grid was a good defining concept, which not only brought order to the interior spaces, but also provided a good alternative to accessorizing the outdoor lawn to the west. 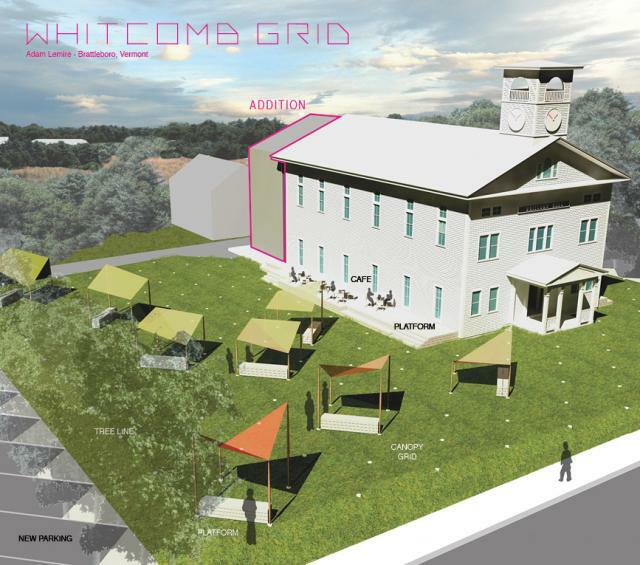 This provided for a number of additional outdoor events to enhance the use of Whitcomb Hall to include: farmers markets, movie nights, concerts, and other various public gatherings. 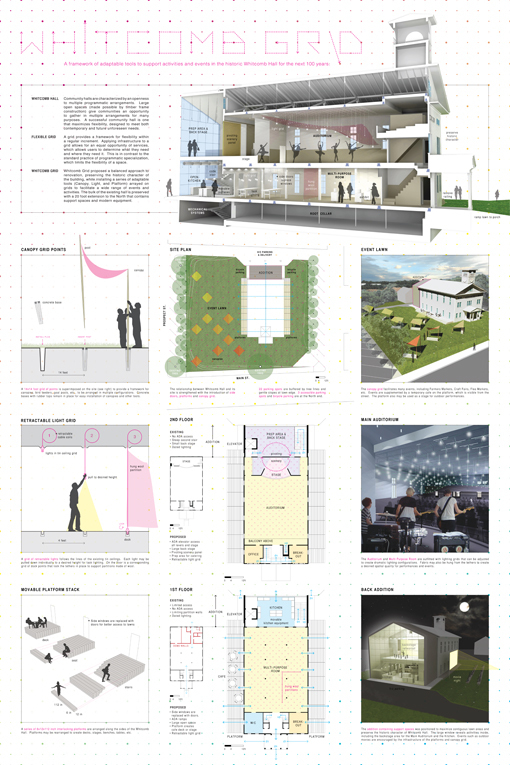 The proposal’s connection to the site was not only the most sensitive, but also the most elegant. 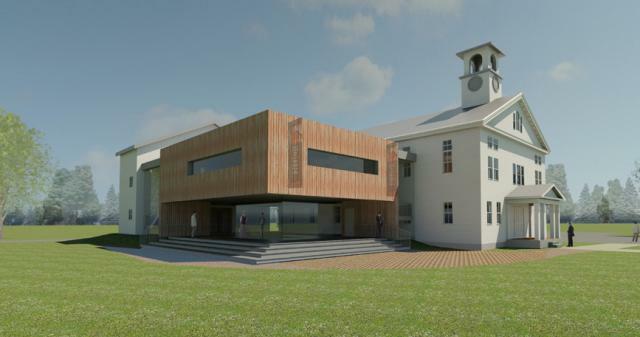 By providing an addition to the north of the site to meet most of the program requirements, the Hall itself remained intact from the exterior preserving its public face and historic character. 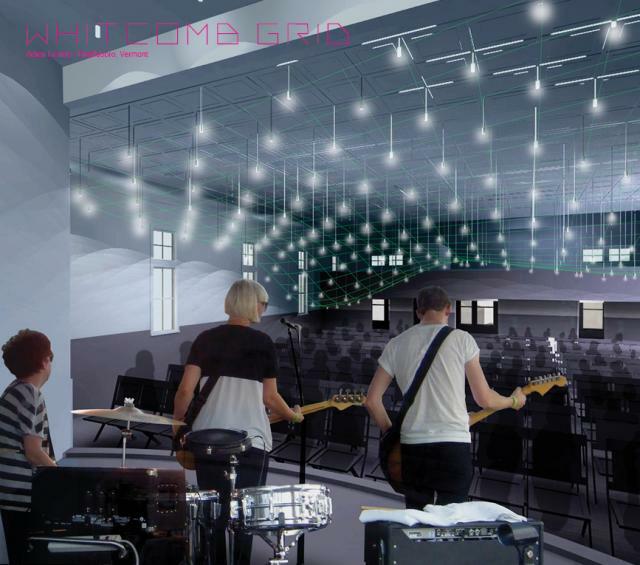 The addition included a backstage area with a pivoting scenery wall on the upper level, while the ground floor included a new kitchen, elevator and stair for public access. Overall, Whitcomb Hall was preserved as the focal point on the village green while the adaptive re-use of the large expansive west lawn combined to validate the Hall as the “premier event facility in the southwest region of the State. Click on the big image to further enlarge. Click on the fist small image to scroll through the others. Jennifer Hegarty Assoc. 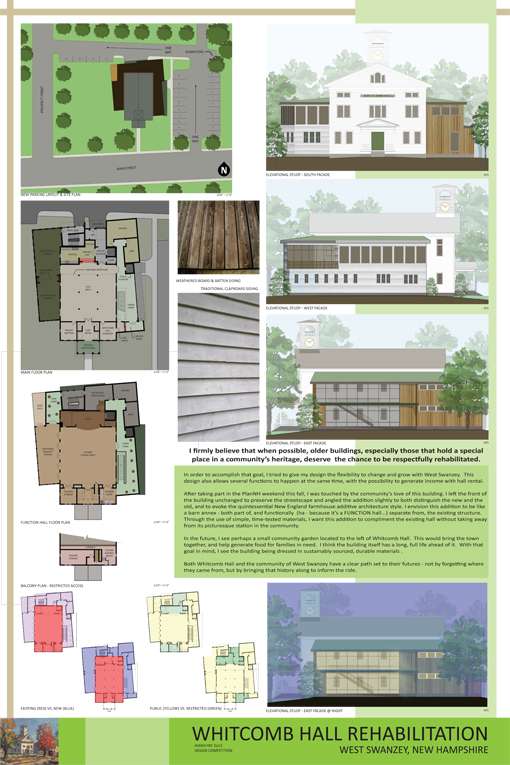 AIA, Litchfield, NH, and Watershed Studio Architecture in White River Junction, VT. 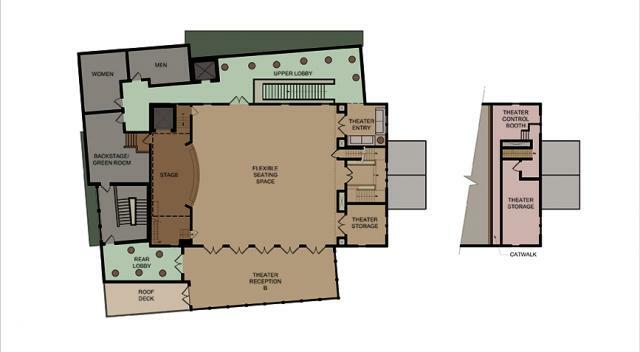 This proposed solution represented the most functional use of space with a large portion of the addition to the west adding much needed square footage to the main hall on the ground floor. Skewing the new addition to the existing building orientation provided an appropriate contrast to help distinguish the old from the new, both from the interior as well as the exterior. 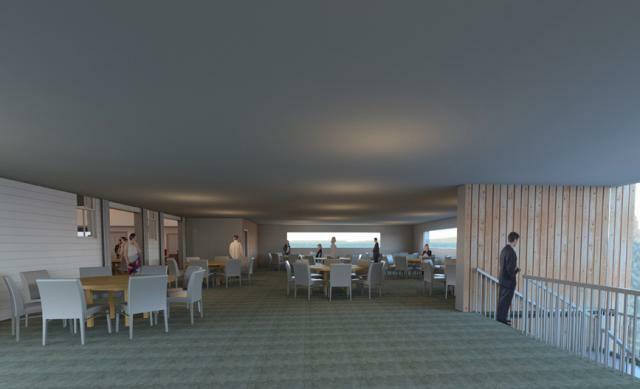 Spaces were created to add a great deal of variety to the plan layout, providing the flexibility necessary for a multi-use facility. Local vernacular materials, finishes and proportions were used in the execution of the exterior fenestration. This backdrop effect allowed the main building streetscape to retain its prominence. The potential existed to tie the building into the west lawn but was never fully realized. Overall this was a strong solution to a variety of programmatic requirements. 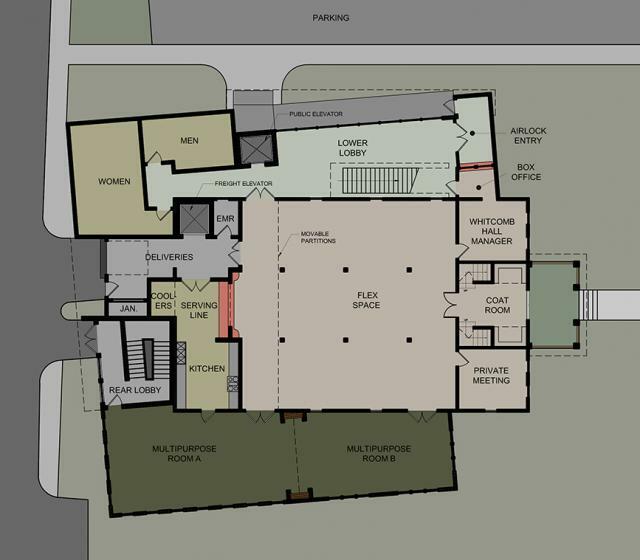 The jurors liked the use of the plan and addition as it opened itself up to the west lawn. They especially liked the execution of the new lobby to the north of the building, which incorporated large expanses of glass to connecting to the new and old additions. This solution provided the most space for multi-function events along with a wide variety of seating options and room configurations. This was the only design that provided a new addition, almost equal in size to the existing building for most of the required program functions. The mass of the building was dealt with in three parts; traditional building addition to enclosed new restroom tower, glass enclosure for the new entrances and modern vertically wood siding enclosing the main public space. This tripartite approach was nearly executed flawlessly except for the treatment of the main mass. Jurors felt the vertical treatment of siding along with the long horizontal glazing competed too heavily with the Main building architecture. A more subtle approach to the massing of the main building element would have been more appropriate. Overall, this solution dealt very well with attemptingto link the outdoor lawn with the main building functions.